2016 was unfortunately marked by dog whistle politics, the rise of the Far Right, and an increase in hate crimes against women and minorities. 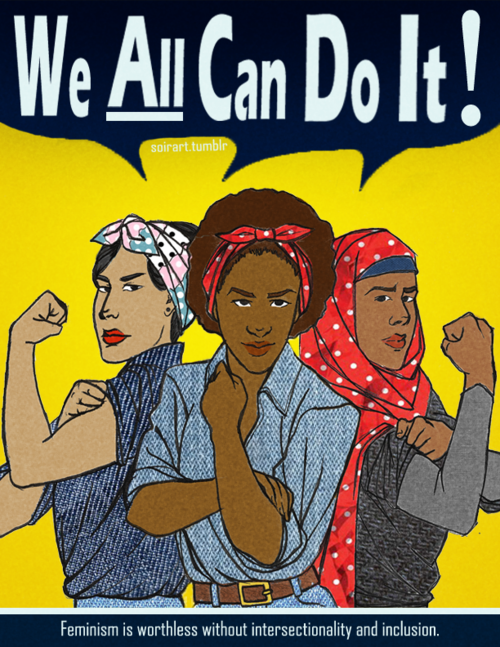 We are living in increasingly challenging times, and when I speak to everyday grassroots women, they often tell me about their fears for their safety, anxieties about what the future holds, and report a sense that the most divisive elements of society have been emboldened on the back of political campaigns which have been dogged by xenophobic rhetoric. I was keen to participate in the Women’s March, so that I could mark the beginning of 2017 with positive action, which would unify and bring people together, irrespective of their background or views. The Women’s March is taking place in many cities all over the world, on the 21st of January 2017, the day after President-elect Trump’s inauguration, and will be a global show of strength and solidarity of diverse communities marching for equality and the protection of fundamental rights for all. As a passionate believer in listening to and promoting diverse women’s voices, I couldn’t wait to get involved with and support a global movement for everyone, organised and led by women. Women’s voices are fiercely needed now more than ever before, as during the US elections we have seen how women have been demeaned, patronised and are expected to put up with routine sexual harassment. Moreover, we are now living in a world in which for many women of colour and especially Muslim women, physical assault, verbal abuse and anti-Muslim hate attacks, are not only on the increase but have become a daily norm. Thus it is vital that women’s voices of all backgrounds, including minority groups, are meaningfully heard, and their experiences which are often intersectional in nature – that is they face multiple challenges such as racism, misogyny and ablism – are acknowledged and amplified. We may not all agree on all issues, but when faced overwhelmingly with the prospect that our fundamental rights to exist are being threatened, it does not matter. Critically, many unified voices will be much more effective and powerful in sending a message to those who would seek to divide, that we will not allow a climate of fear and hatred to overcome us. And our message is clear: walls will not be built to separate us from our neighbours, Muslims are equal citizens and justice (social/political/economic) is a fundamental right for all. It would be too easy to focus on the negative consequences of the new era of divisive politics that we now find ourselves in. This would however, only lead to despair and hopelessness, which in turn leads to fear, and this fear is exploited by the far right and other xenophobes. It is my hope that by coming together in solidarity, across all boundaries of sexuality, ethnicity, race and religion, we will demonstrate that a united and just society is not a far away dream but a very real and tangible possibility. Change will happen when we join together to stand up to and fight for justice against misogyny, racism, homophobia, Islamophobia and all forms of bigotry and hatred, taking our negative feelings of despondency and channeling them into positive affirmative action. So let’s come together to march on London, not in protest but in celebration of diversity, equality and peace. Categories: Politics, Women | Tags: presidential inauguration, trump, women's march, women's march on london | Permalink.